According to the IEA, total capital investment in oil & gas projects still dwarfs investment in renewable electricity generation more than 2-to-1, despite renewable energy development cost below grid parity in many regions. Securing financing to develop and implement low-carbon energy technology is a key challenge for the energy transition. At the same time, capital structures for renewable energy ventures are changing as the sector reconciles the sunset of tax subsidies, seeking to attract new investors amidst dynamic tax policies and import tariffs. How can developers and start-ups overcome political uncertainty and path-dependence to attract new private capital? Can conventional capital channels deliver the scale-up of renewable energy investment required to limit global temperature rise below two degrees Celsius (2°C)? What innovative revenue models and investment products are emerging with the potential to transform the conversation? Leaders from many walks of clean energy finance will discuss current trends, opportunities and barriers to attracting the investment capital necessary to propel ideas into action. active member of the family office syndicate, CREO. 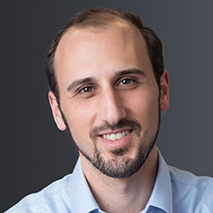 Daniel has been a venture investor in the clean energy sector for more than 10 years and joined GE Ventures in their Boston office in 2016. 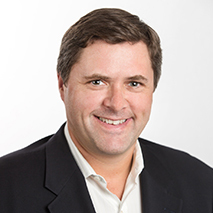 Most recently he was Director, Ventures at National Grid in Waltham, MA helping accelerate technological and business transition within the utility industry. Daniel has led venture investments across the sector including solar, energy efficiency and energy storage and most recently he led GE Ventures’ investment in Advanced Microgrid Solutions in 2017. Andy Lubershane is the Director of Research for Energy Impact Partners (EIP), a venture investment firm founded by a coalition of electricity and gas utilities. At EIP, Andy spends his time trying to understand how market fundamentals will shape the opportunity for new technology, and vice versa. Andy is an expert in power market design, regulation, economics, and competitive strategy. Prior to EIP, he served as an Associate Director for IHS, where he advised clients on market dynamics in wind, solar, and storage. Richard Matsui is Founder & CEO of kWh Analytics, the market leader in solar risk management. kWh Analytics has built the industry’s largest repository of solar asset performance data (~20% of the U.S. market). Google, PNC Bank, and top solar investors rely on kWh for software and insurance solutions. 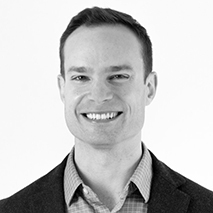 Jeff co-founded Energetic Insurance to expand the solar market through data-driven risk management. Previously, he led the distributed energy resources team at EnerNOC where he developer partnerships and pilots with major energy companies. Prior to EnerNOC, Jeff was the founding TechBridge Program Manager at Fraunhofer CSE, an applied R&D organization focusing on PV modules, energy efficiency and electric grid control systems.